Usually I love you cheerful drivers who, unlike London ones, don’t honk at me to hurry up, have rescued me from embarrassing breakdowns, snowdrifts and a double deer accident. But in these late summer days, I often find myself driving into town through thick fog. 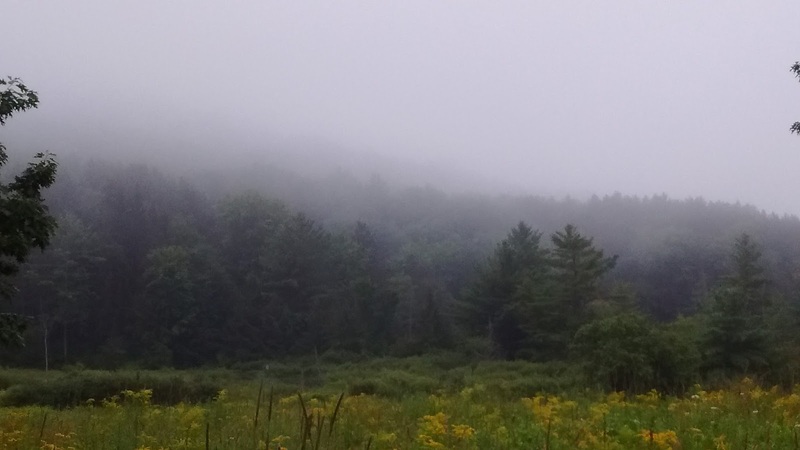 The fog sometimes lifts, sometimes comes down suddenly , sometimes settles prettily in the valleys. You all must be used to it by now. It isn’t a new phenomenon introduced by aliens, or a by-product of the internet age. 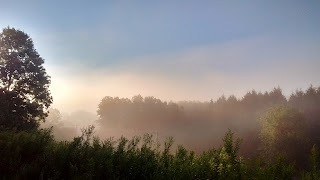 Fog in all its many guises has been with us for millennia. Now I come from fog central. You must have heard of London fog - you can even buy it in cans. It set the scene for the murderous doings of Jack the Ripper, the sleuthing of Sherlock Holmes, the novels of Charles Dickens. It's better these days of course but we still have to deal with it. And let me tell you a secret about how we deal with it. When we leave in the morning for work , or to go to the gym, or grocery shopping and it’s foggy, we reach for a gadget that we all have in our cars. This is usually found on a type of stick sprouting from the steering- wheel column. It involves moving a switch to the “on” position. And when you’ve done this (it only takes a second), something devilishly clever happens. Lights come on on the outside of the car. Two white ones in front and two red ones behind. And what do those lights do? No, they don’t help you see better, they help others see you. And guess what, you can do it too! For a great country that produced Thomas Edison and landed the first man on the moon, that’s not so hard to grasp, is it? 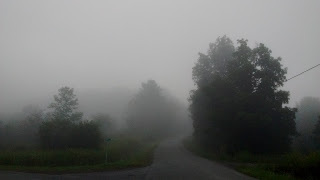 Please please, dear Cattaraugus County neighbours, have mercy on this poor foreigner who is terrified for her life every time she has to turn onto the Five Mile Road on a misty morning- PLEASE put your lights on in the fog!